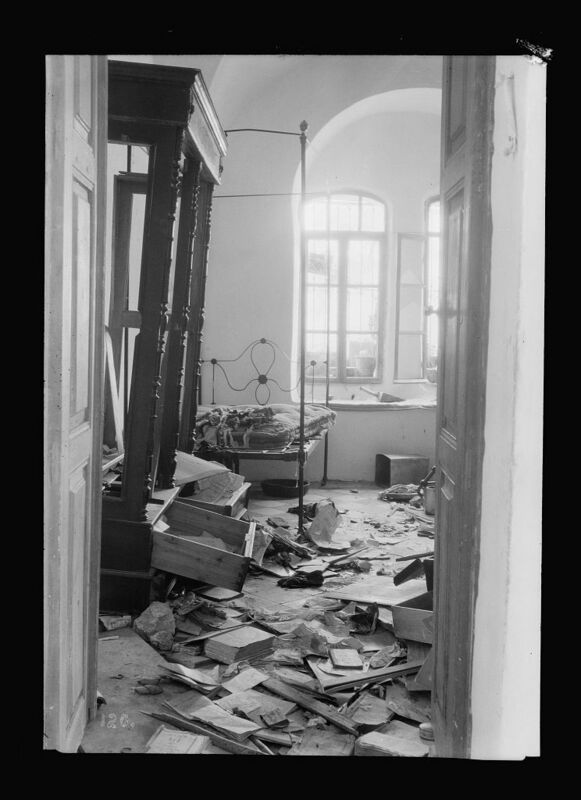 ﻿﻿Among the tragedies that befell the Jewish people during the month of Av was the 1929 massacre in Hebron. 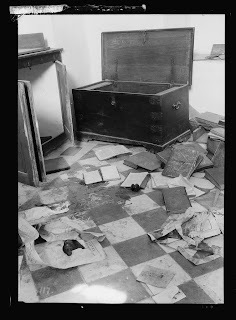 Never before seen photographs of the destruction were found in the Library of Congress archives. 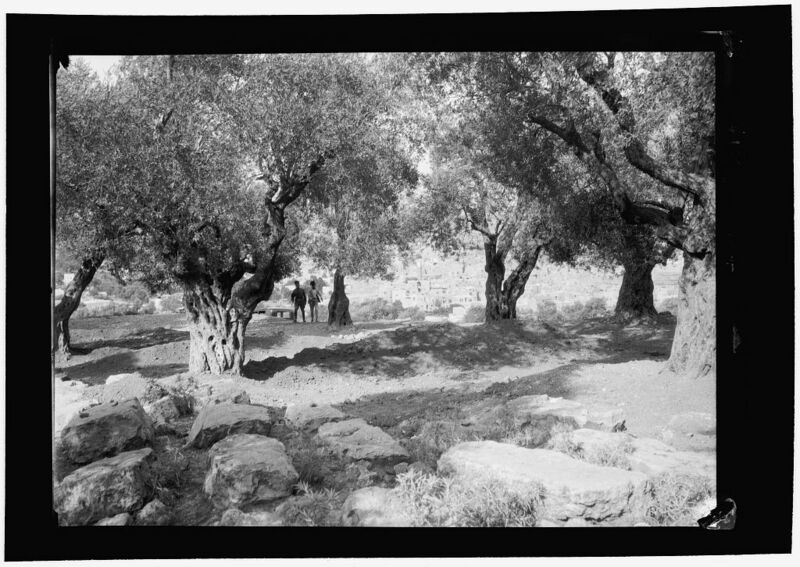 On the eve of Tisha B’Av, the day of calamities in Jewish history, we present the pictures. Today’s leaders of the Hebron Jewish community told me that they had never seen the photos before. Click on the photos to enlarge. Click on the captions to see the originals. The Arabs of Palestine were led by the powerful Husseini clan who controlled the office of the Mufti as well as the Mayor of Jerusalem. For decades the clan had opposed European colonialism, the growing power of foreign consulates in Jerusalem, Christian and Jewish immigration and land purchases. After the 1917 Balfour Declaration expressed support for “a national home for the Jewish people,” Husseini added “Zionists” to his enemies list. The clan leveraged its power and threats of violence to win over Turkish and British overlords, to challenge the Hashemite King Abdullah, and to hold off competing clans such as the Nashashibi, Abu Ghosh, and Khalidi clans. 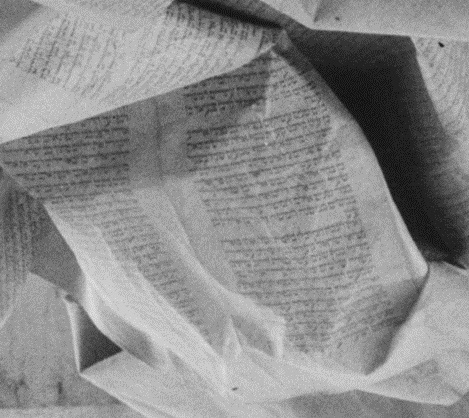 On Yom Kippur 1928, Jews brought chairs and screens to prayers at the Western Wall. This purported change of the status quo was exploited by the Mufti, Haj Amin el Husseini, to launch a jihad against the Jews. Husseini’s campaign continued and escalated after a Jewish demonstration at the Kotel on Tisha B’Av in August 1929. Rumors spread that Jews had attacked Jerusalem mosques and massacred Muslims. The fuse was lit for a major explosion. ﻿ Starting on Friday, August 23, 1929 and lasting for a week, enraged Arab mobs attacked Jews in the Old City in Jerusalem, in Jerusalem suburbs Sanhedria, Motza, Bayit Vegan, Ramat Rachel, in outlying Jewish communities, and in the Galilee town of Tzfat. 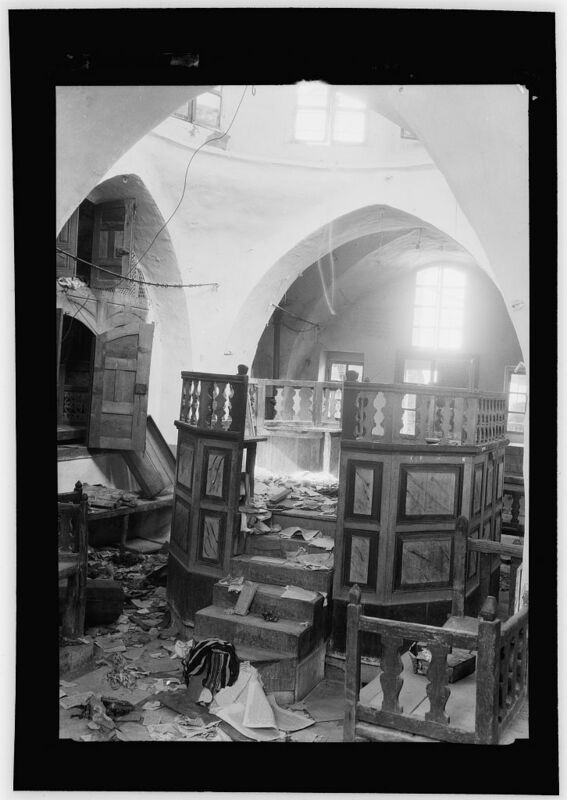 Small Jewish communities in Gaza, Ramla, Jenin, and Nablus were abandoned. The attack in Hebron became a frenzied pogrom with the Arab mob stabbing, axing, decapitating and disemboweling 67 men, women and children. At least 133 Jews were killed across Palestine. In 1931, there was a short-lived attempt to reestablish the Jewish community in Hebron, but within a few years it was abandoned until the IDF recaptured Hebron in 1967. Can I finesse this summary? "On Yom Kippur 1928, Jews brought chairs and screens to prayers at the Western Wall...escalated after a Jewish demonstration at the Kotel on Tisha B’Av in August 1929. Rumors spread that Jews had attacked Jerusalem mosques and massacred Muslims. The fuse was lit for a major explosion." The September 1928 incident was discussed in Parliament (see: here). In addition to the Revisionist campaign, Prof. Joseph Klausner headed a public committee. There is a claim that is was the Sefaradi shamash who complained to the Mufti that the Ashkenazim were altering the status quo! And the Radziman Rebbe, Aharon Menachem Mendel Gutmacher, was responsible for setting the Mechitza up, btw. Following the riots, an International Committee decided that we Jews had precious few rights at the Kotel. Excerpts from the Shaw Commission Report are here. asked the Secretary of State for the Colonies why the White Paper Cmd. 3229, purporting to deal with recent incidents at the Wailing Wall in Jerusalem, contains no mention of alleged infringements of the status quo by the Moslem religious authorities; if he intends to issue a further White Paper on this aspect of the matter; and whether he is now in a position to make a statement as to the addition of further masonry courses to the wall itself by the Moslem religious authorities and the other alleged infringements of the status quo? 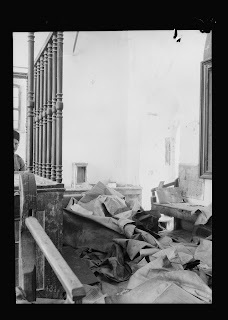 Another angle is “The Temple Mount as Part of the Arab-Jewish Conflict 1922-1933” by Shulamit Eliash.